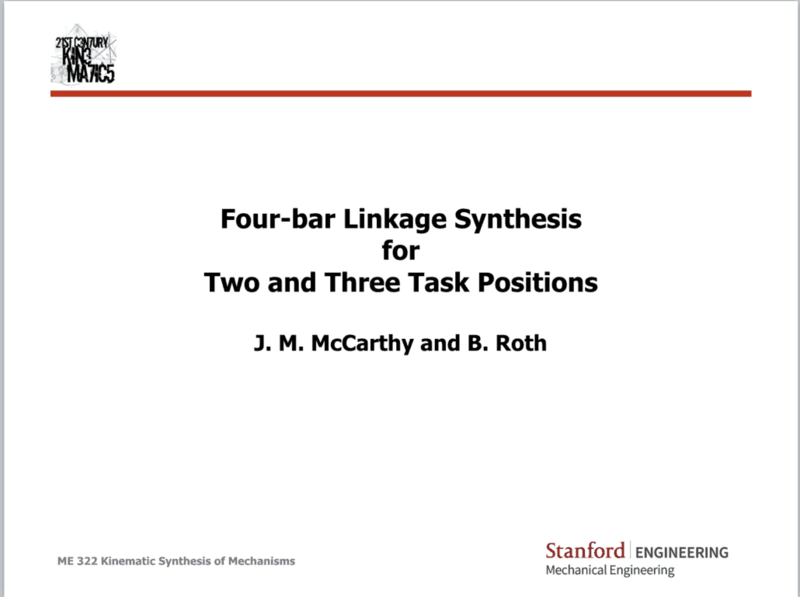 These notes for the Stanford University course ME 322 Kinematic Synthesis of Mechanisms introduce the synthesis of a four-bar linkages that guide the coupler link through two and three specified task positions. Update. December 12, 2017. These notes have been revised to introduce Sandor and Erdman’s formulas for linkage synthesis which solve for the input and output cranks. This provides a nice pairing with the related equations that are solved for the fixed and moving pivots, directly.